This version of the classic three cups magic trick requires no sleight of hand or special skill. 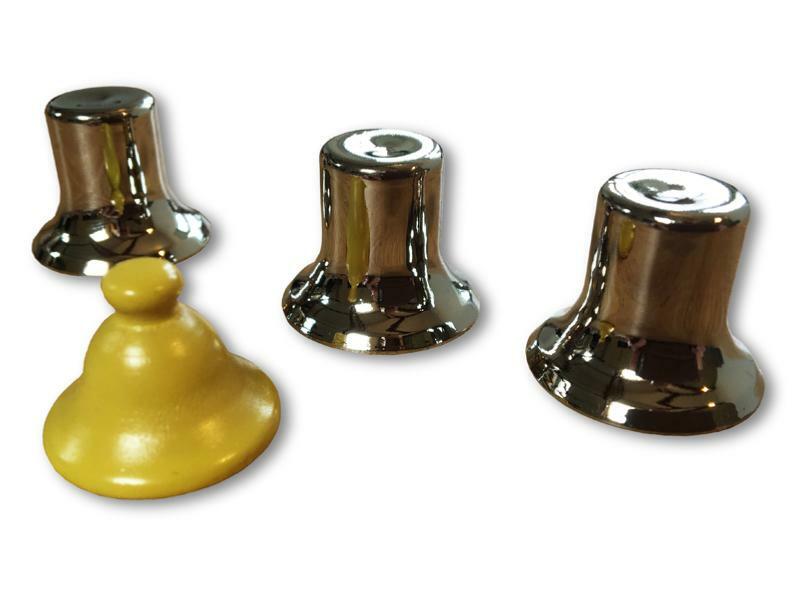 There are three metal cups, and a yellow pawn. Invite your audience to hide the pawn under one of the cups while your back is turned. Once you turn around, you will know which cup the pawn is under. And if they try to fool you and not put the pawn under any of the cups, you will know that too!